How Is the Church Pictured in the Bible? The Biblical doctrine of the Church is so rich that no one metaphor is capable of capturing the fullness of this doctrine; this is why the Bible uses at least six different metaphors to describe the Church. NKJ Ephesians 2:12 that at that time you were without Christ, being aliens from the commonwealth of Israel and strangers from the covenants of promise, having no hope and without God in the world. NKJ 1 Peter 2:10 who once were not a people but are now the people of God, who had not obtained mercy but now have obtained mercy. NKJ 1 Peter 2:5 you also, as living stones, are being built up a spiritual house (temple), a holy priesthood, to offer up spiritual sacrifices acceptable to God through Jesus Christ. NKJ Ephesians 2:20 having been built on the foundation of the apostles and prophets, Jesus Christ Himself being the chief cornerstone, 21 in whom the whole building, being joined together, grows into a holy temple in the Lord, 22 in whom you also are being built together for a dwelling place of God in the Spirit. NKJ Ephesians 5:22 Wives, submit to your own husbands, as to the Lord. 23 For the husband is head of the wife, as also Christ is head of the church; and He is the Savior of the body. What does it mean to be a member of a church? People don’t always understand what it means to be a member of a church, but they do sense that it’s a formal commitment of some kind—something like a marriage. Now it is true that the Bible contains no one single text explicitly commanding church membership, but it does infer it (cf. Westminster Confession of Faith: “The whole counsel of God concerning all things necessary for His own glory, man’s salvation, faith and life, is either expressly set down in Scripture, or, by good and necessary consequence may be deduced from Scripture). The keys of the kingdom, and in particular church discipline infer church membership. How can someone be formally excluded from the kingdom without first being a formal member of the kingdom? If there is no church membership there is no provision for church discipline. What three phrases in verses 12 and 13 speak of individuals being inside (members) the church or outside the church? 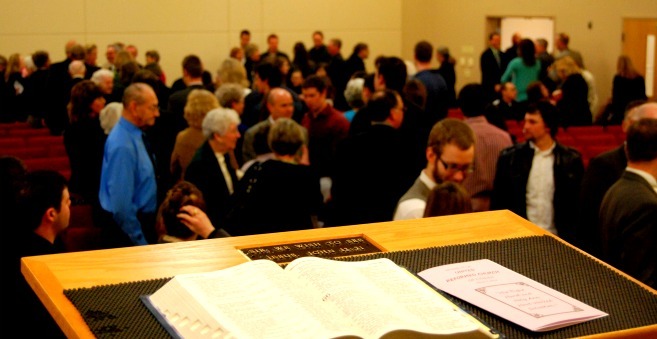 What does the Bible and our Confessions teach about church membership? What three phrases in these verses begin with “let us”? How is the church described in Ephesians chapter 5? What is the importance of that description? What about Jesus’ teaching in Matt. 18, does this presuppose the institution? In 1 Timothy 3:15, the church is described as the “household of God.” The church is God’s family. We are not just individuals but we are part of a family and are called to be committed to this family. And the way this family comes to expression is in both the church universal and the church local. How does Ephesians 2:19-22 describe the church? The idea of church membership is also derived from our understanding of the covenant. A covenant is a marriage between God and His people involving contracting parties, promises, obligations, and penalties (Genesis 17; Deuteronomy 28 and 29). These elements of covenant are also found in church membership. In membership we formally covenant with God, but also with His people (through a process of membership class, elders interview, and welcome). We also assume certain responsibilities or obligations (faithful worship, submission to elders, exercise of gifts, etc. ), while having the promises of certain privileges (shepherding of elders, diaconal aid, sacraments, fellowship of the body, etc.). What are some of the reasons it is important that we belong to a local church? Do you think Augustine was correct when he said, “You cannot have God for your Father if you do not have the church as your mother”? 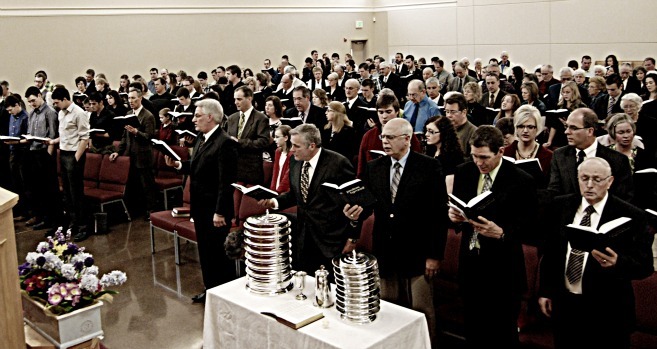 When a person floats from church to church, treats the church like the menu at a Chinese restaurant, or attends a local church regularly without intending to become a member, there is no real obligation to use his or her gifts, because there has been no formal “marriage” to a local body. That person receives all the privileges of membership without any of the responsibilities. Members, on the other hand, are duty-bound to use their gifts because they have formally joined the local church. Membership, then, is not a light matter nor is it optional. The bride of Christ is called to be faithful to her husband and she is most faithful when she commits herself to her husband at the local level. Membership in the local church is the visible expression of belonging to Christ; conversely, one cannot appropriately consider himself/herself to belong to Christ if he/she does not belong to Christ’s church in a formal way. The Scriptural notion of membership is that the individual/family expresses willing submission to the spiritual authority of the local eldership (Hebrews 13:7,17; Acts 20:28ff). Members belong to the local church; local churches (may) belong to a denomination. “Transferring membership” means requesting release from the care of the elders of one church, and a self-conscious submission of the individual or family to the pastoral care and responsibility of the eldership of another church. Membership is a visible testimony of commitment to other members. How do I choose a church to join? According to Acts 2:42-47, to what essentials was the early church devoted? According to Belgic Confession Article 29, what are the marks of the true church? What is the church’s view of Scripture? Is it infallible, the only ultimate authority for faith and practice? What is the church’s confession of faith? Where does this particular minister stand on it and is it the criterion for the teaching and preaching of God’s Word? If you really get “lucky,” you might even find a church that still uses its catechism. A confession of faith is not equal to Scripture, but it does set forth what the church body believes God’s Word teaches and expects us to know. A catechism is simply a means of instruction about that confession of faith, usually through a question and answer approach, with biblical texts supporting each answer. In many confessionally consistent denominations, one may find Sunday school curricula that follows a person all of the way from pre-school age to the twilight years. This is important, because it organizes our thoughts about God and reading of Scripture into a coherent, clear, and systematic whole. Is the service conducted as God’s meeting with His people to give them His grace and for them to respond in thanksgiving? Or is it modeled on entertainment? Is Jesus Christ proclaimed as a moral hero or as redeemer? In other words, is He made to sound like Freud, Ben Franklin, a politician, and an end-times seer, or is the preaching concerned with “Christ and Him crucified,” as Paul put it? What is involved in covenanting to join the Lynden United Reformed Church? I believe that Jesus Christ is the Son of God, and is my Savior who saves me from my sin. I believe that Jesus is, therefore, Lord of my life, and I promise to follow His teachings and obey His commands. I believe that the Bible is God’s Word, the foundation for both believing and living. I believe that the creeds and confessions of the Lynden United Reformed Church faithfully summarize and reflect the teachings of the Bible. I believe that God gave me a sign and seal of His gracious promises in my baptism. I believe that I am joined with Christ and His church by faith, and that the Lord’s Supper is a visible witness of that union. I believe joining with God’s people in the worship of God is necessary both to honor Him and strengthen my faith. I promise that I will faithfully attend to God’s worship and to the preaching of the Word. I believe God calls me to love fellow believers, honor the authority of the elders of the church, and serve God with my resources, gifts, and talents. I promise to show such love, such honor, and such willing service to the God who has saved me. What is Lynden United Reformed Church’s promise to its members? The faithful preaching of the Word of God. The administration of the sacraments. The shepherding of the elders. The love of the family of God.